This original 70s shirt has a wide open or fly collar. 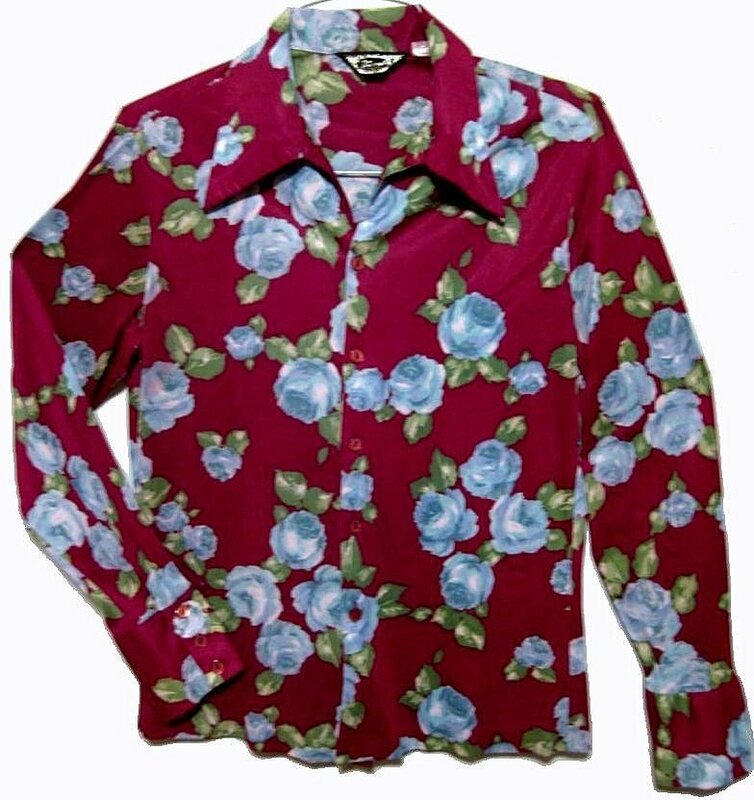 The shirt possesses a nice contrast with its Maroon background splattered with Light Blue Roses and Sage Green Leaves. Just a great look. The fabric has give to it. The shirt was originally sized L! Today, it would fit a S - M person. It is 41" around at armpit level for a loose 36 or 17 chest fit or a more snug 38 fit. It has an approximate 32" sleeve length from the neck base. The shirt's length is a long 26.5". The shirt is vintage and it has some wear, not glaring. It does have a 3ml pinhole at the back of the left shoulder seam. The cuffs are three button for a French Cuff look. Since the shirt is vintage, it will last longer if hand washed or washed inside out n gentle. Always hang dry. It should be safe to dry clean as well.